Couples have been having weddings at Motherwell Concert Hall for the past 40 years. This large venue is an ideal flexible wedding venue in the heart of Lanarkshire. If you wish your wedding to be an intimate gathering or lavish event our dedicated wedding team can help, and will give you and your guests memories to last a life time. Our professional catering team pride themselves on their high quality catering and drinks service. With various set menus to suit any budget, the team will create a bespoke package ensuring your day is one to remember. 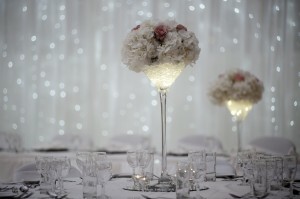 Perfect for large wedding, we can tailor your wedding to suit your requirements and imagination. The main concert hall holds up to 360, ample space for every wedding reception. We also have dressing rooms for hire where you and your wedding party can get ready for your big day. Your wedding will be planned with attention to every last detail. Our experienced wedding events team can help with planning every aspect of your wedding day from catering to technical requirements to table settings. We have an extensive reputable wedding supplier list which includes florist, photographers, LED Dance Floors, Photo booths , candy carts and more. Your personally assigned wedding planner will discuss every fine detail with you and ensure that your wedding day will become one of your most precious memories. Your perfect wedding starts here at Motherwell Concert Hall. Call 01698 403120 to discuss your wedding plans. 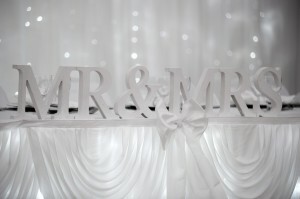 Our dedicated and experienced wedding planners will be happy to meet you to discuss your requirements.